Ladies and Gentleman, allow me to introduce you to (arguably) the best value pizza in London at Pizza Union. And the best bit? You can order yourself an absolute feast AND it's cheap as chips! 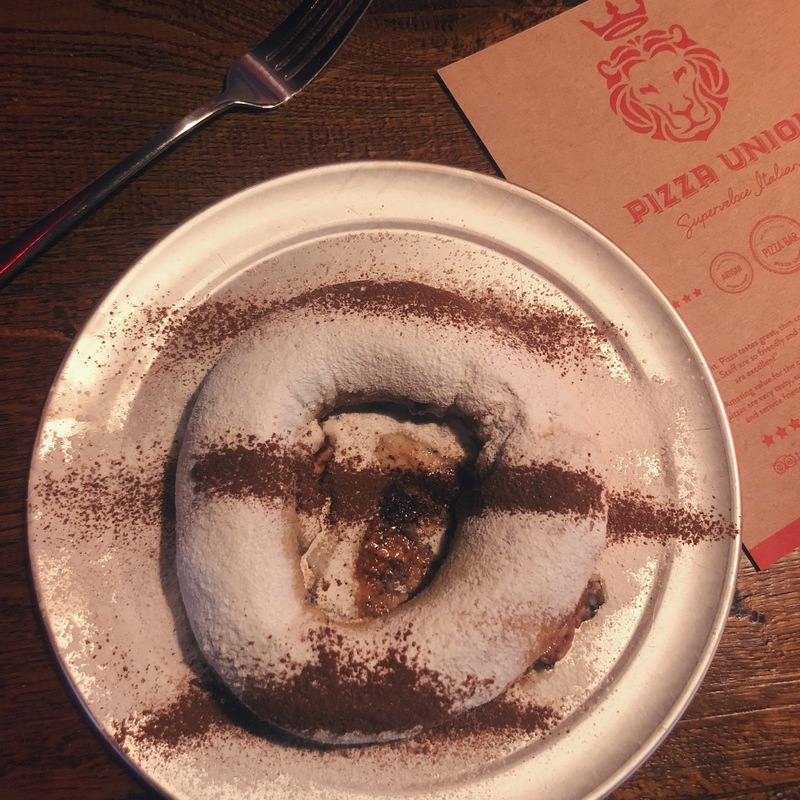 Now I'd never been to Pizza Union before so when we popped down to the newly opened Dalston restaurant, I have to say I was SO impressed! 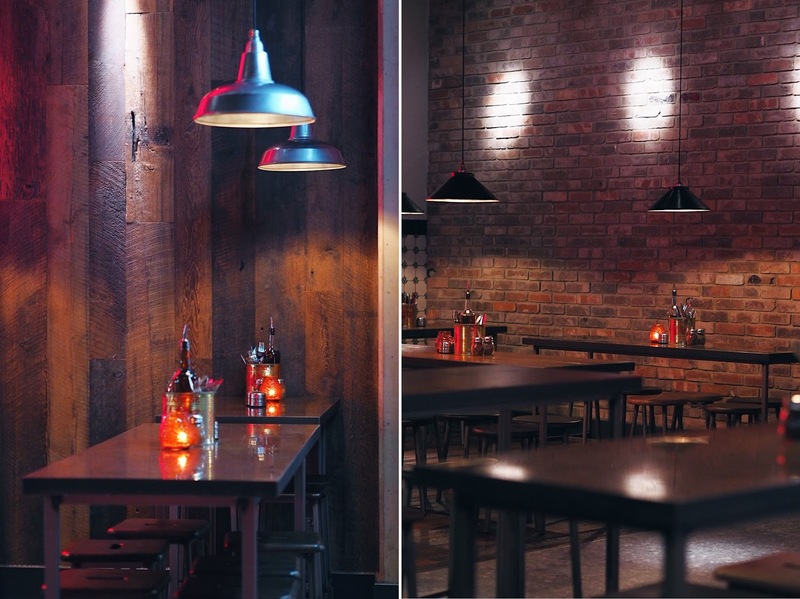 The restaurant is HUGE, seating up to 120 people while still maintaining a really laid-back and relaxed vibe. 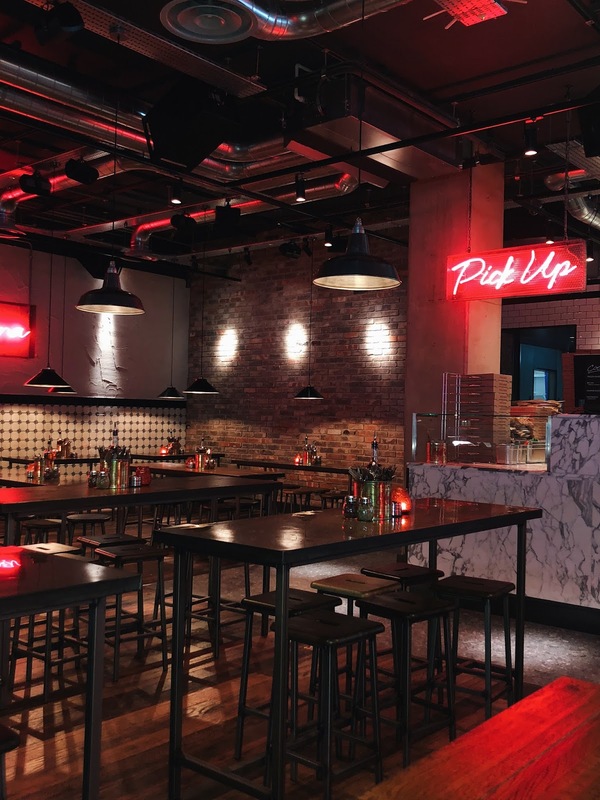 It's laid out almost canteen-style with exposed brickwork, Victorian tiles and incredible industrial-style lighting hanging above every table (not to mention all the red neon signage up on the walls). 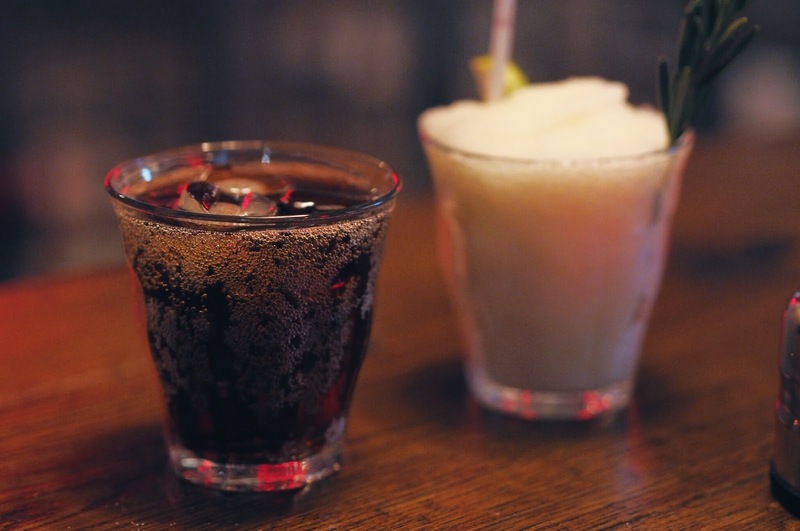 Deep house blasts out the speakers as you eat which helps draw in the crowds and makes it a really lively choice for somewhere to eat after work or on the weekend. 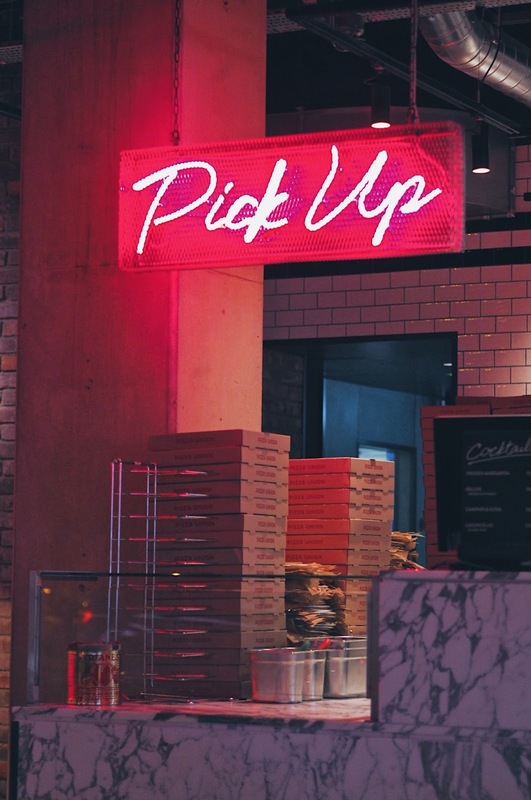 Seriously...within 3-4 minutes of placing your order, your freshly cooked pizza is ready and waiting for you at the collection point. 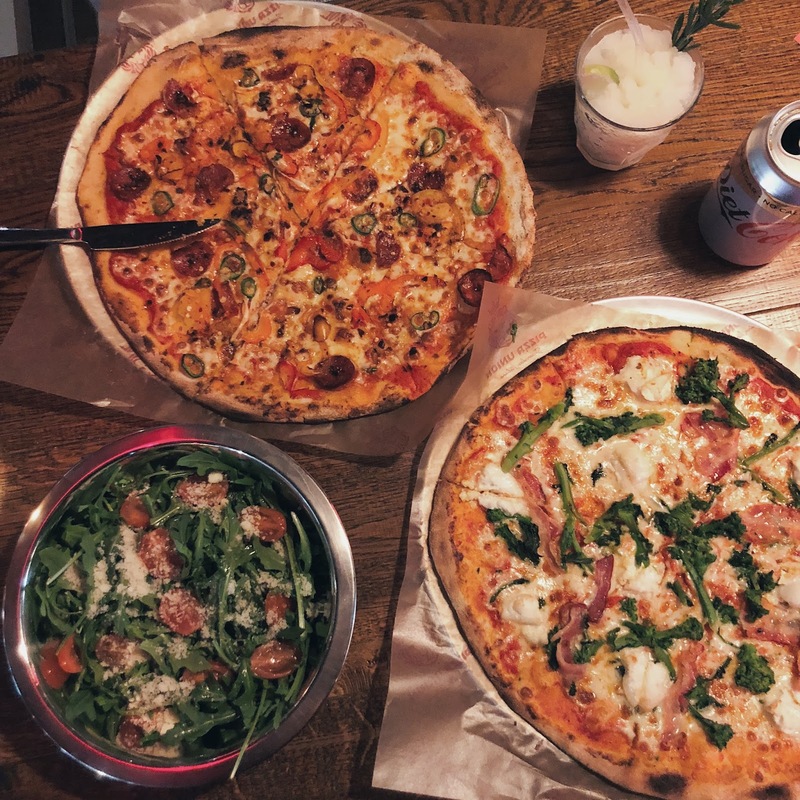 All the pizzas are hand-crafted and cooked in true Italian style (thin and crispy) in the giant clay pizza oven which takes pride of place in the open-plan kitchen. My favourite is the Romana (£6.50) which comes topped with generous chunks of creamy goats cheese, crispy pancetta and my absolute favourite, Tenderstem broccoli. Broccoli is such an under-rated vegetable and I love using it in pasta dishes so it was fab to see it on the menu here! If you prefer spicy - definitely go for the Vesuvio (£5.50). 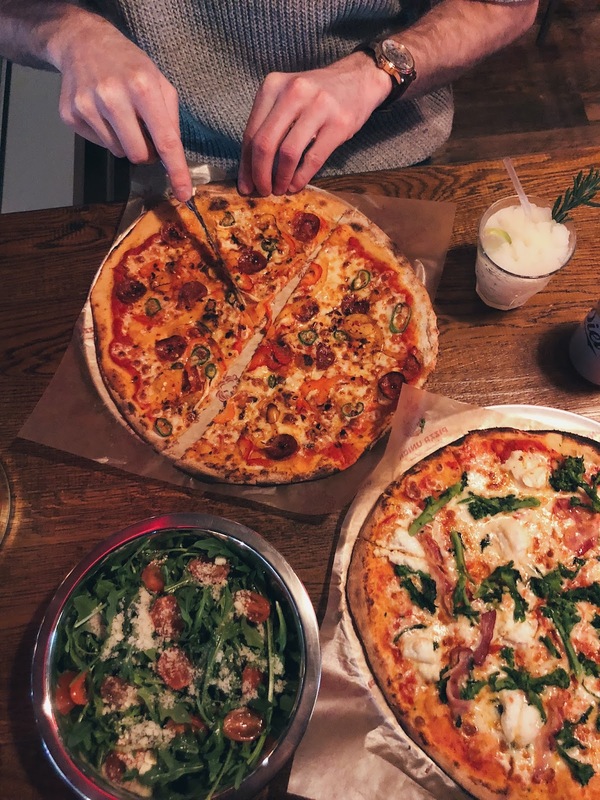 Loaded with slices of pepperoni, thinly sliced red and yellow peppers and tons of chilli - it packs just the right amount of heat and is an absolute steal for just over a fiver! 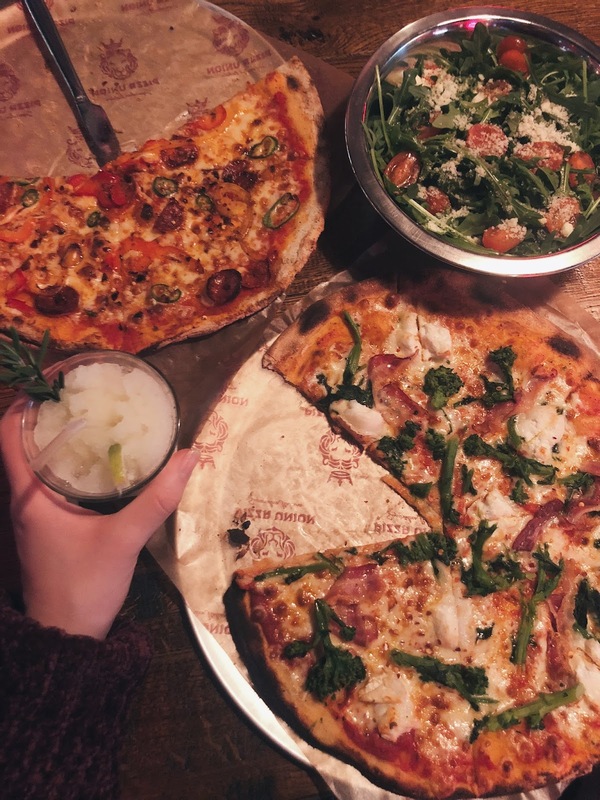 You can also order salads which are great for sharing (the Antica with rocket, tomato and parmesan was delicious) - because life is all about balance right? 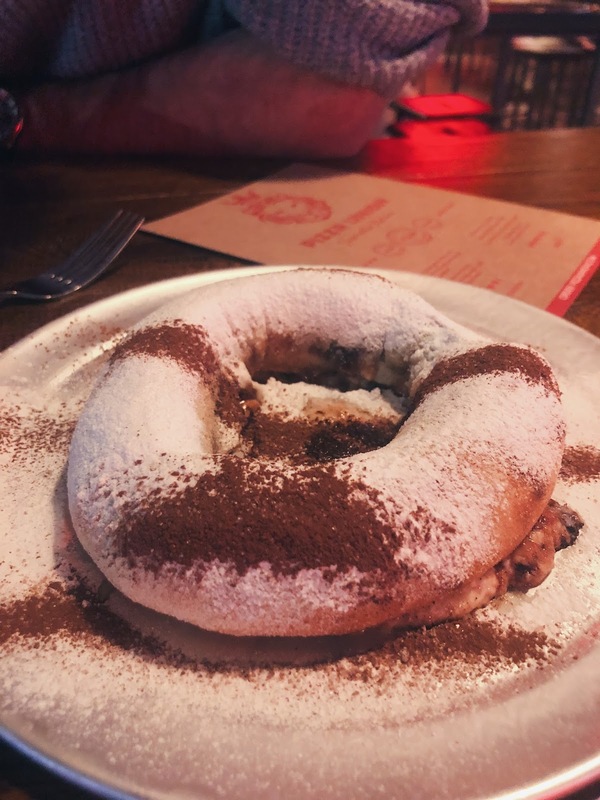 It's basically a warm dough ring stuffed to the brim with creamy mascapone and Nutella - and believe me when I tell you it's incredible! Taste-wise, it's not dissimilar to the incredible filled crepes you get in Paris or Amsterdam and is just the perfect way to round off the meal. It's a lot crisper on the outside than you'd initially expect but once you break through, the inside is filled with hot, molten chocolate. It's incredibly rich and decadent so order one to share between you. Overall we loved Pizza Union. 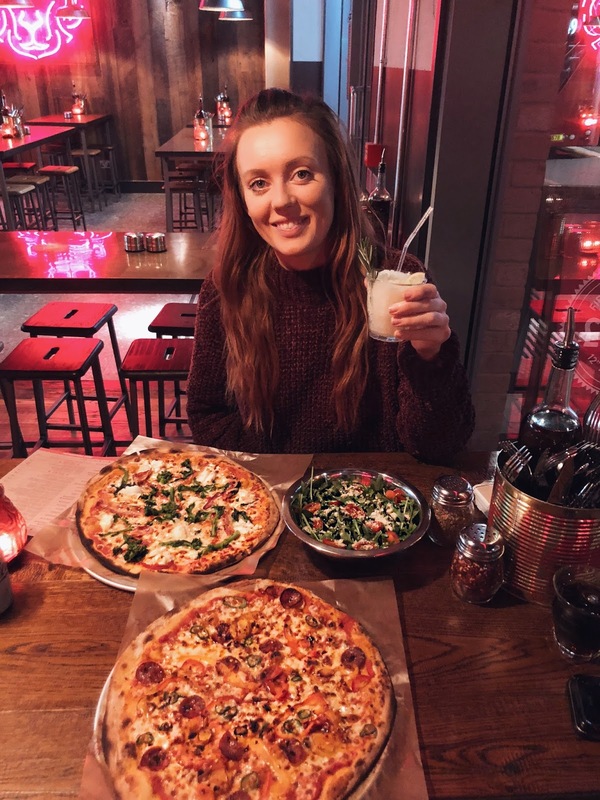 The laid-back atmosphere and lively soundtrack make it the ideal place to catch up with your mates - and besides...anywhere you can get pizza for under £5 is a winner in my eyes!